Poetry on the T enables more than one million people who ride the T every day--to get to work, school, home, to go to restaurants, bars, parks--to read poetry during their commute, in place of advertisements. 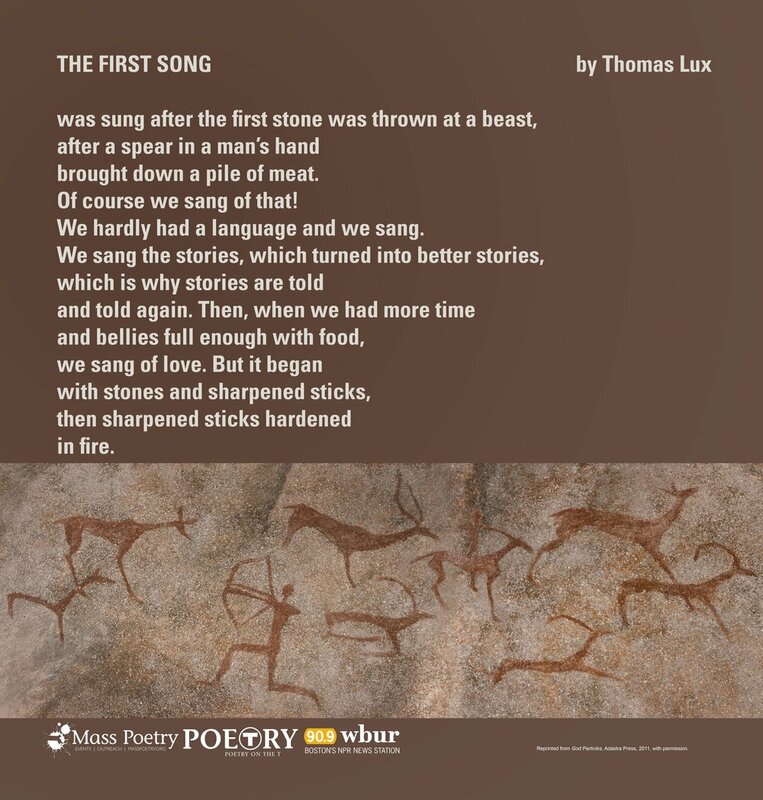 Mass Poetry partnered with Wellesley College to take over one full car of each train line with Poetry on the T from members of the Wellesley community, including students, alumni, faculty, and staff. Click here to learn more about the project and to hear each of the poems read by the poet. April 2018 Poetry on the T features Sonia Sanchez's "Haiku (for you)" and Kaveh Akbar's "Learning to Pray", both 2018 Mass Poetry Festival Headliners. March features an excerpt from Tracy K. Smith's "Flores Woman" in celebration of the 2018 Poetry Coalition Theme Where My Dreaming and My Loving Live: Poetry & the Body. This run is sponsored with donated space from the MBTA. 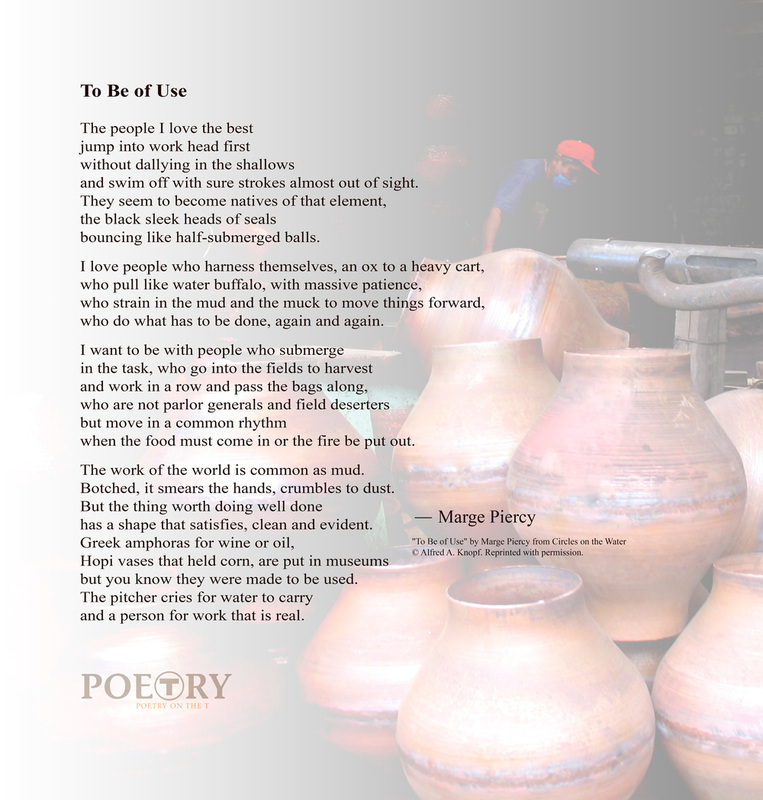 November features two runs of Poetry on the T--one sponsored by Penguin Press featuring poems from Mary Oliver's new book Devotions: The Selected Poems of Mary Oliver, and one sponsored with donated space from the MBTA. Mary Oliver, "The Poet Compares Human Nature To The Ocean From Which We Came"
Thomas Lux, "The First Song"
Mary Oliver, "An Old Story"
Charles Coe, "Teaching My Imaginary Son to Fish"
Jarita Davis, "Vista From the Schoolhouse Steps"
Alexis Ivy, "Poem of Place"
Rigoberto Gonzalez, "things I would say to Fulgencio if I could say them"
Krysten Hill, "City Girls Teach Themselves to Fly"
Danielle Jones-Pruett, "Portrait of a Woman in Kitchen"
Learn more about the winners of our Fall 2015 Poetry on the T Contest, whose poems were up on the red line this December! 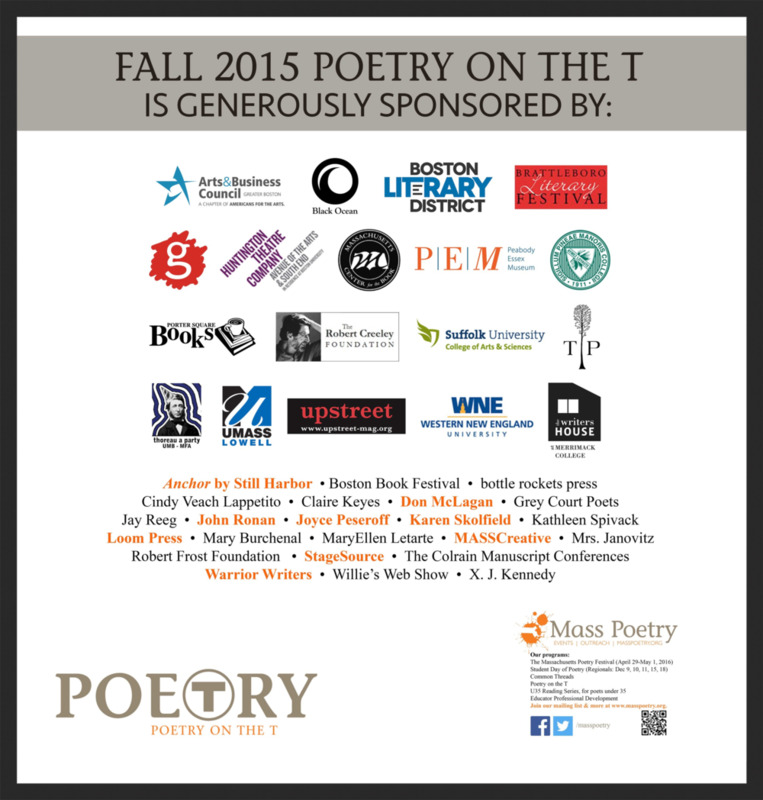 Thank you to our generous sponsors of Fall 2015 Poetry on the T! Poems were on the Red Line through the end of the year! Please see the sponsor poster below. Sponsored by our many generous friends in Massachusetts, featured in the sponsorship poster below. Chen Chen, "Please Take Off Your Shoes Before Entering Do Not Disturb"
Danielle Legros Georges, "Poem for the Poorest Country in the Western Hemisphere"
October features two runs of Poetry on the T--one sponsored by Penguin Press featuring poems from Mary Oliver's new book Felicity, and one sponsored by our many generous friends in Massachusetts, featured in the sponsorship poster below. John Murillo, "Up Jump the Boogie..."
Gregory Pardlo, "Written by Himself"
These four poems are by our Poetry on the T Contest Winners! Read and learn about the winning poems and the poets who wrote them here. 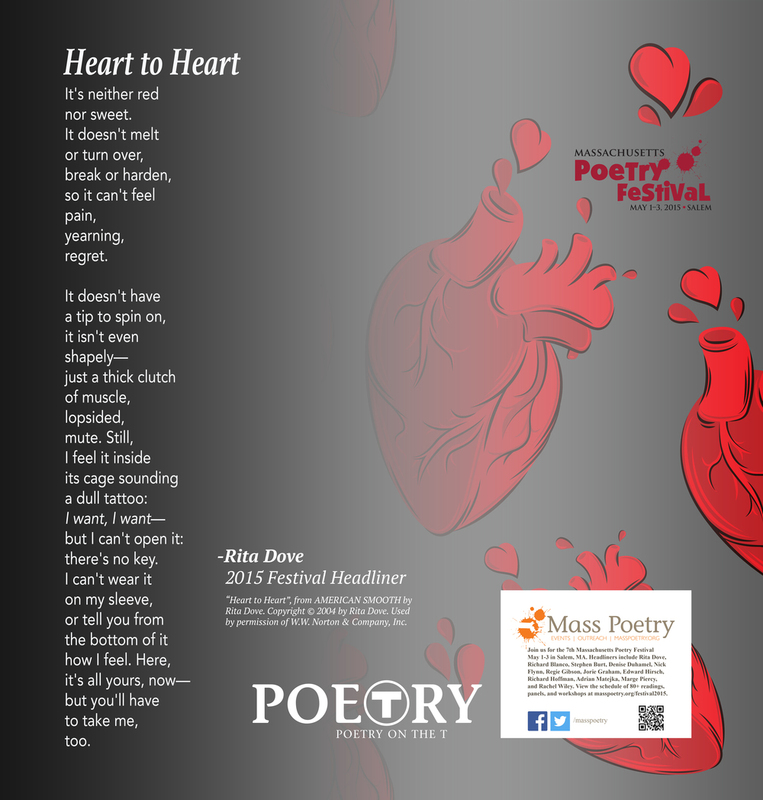 Rita Dove, "Heart to Heart"
Adrian Matejka, "Map to the Stars"
Rachel Wiley, "This Is Just To Say"
Edward Hirsch, "I Was Never Able to Pray"
Rhina P. Espaillat, "On Hearing My Name Pronounced Correctly, Unexpectedly, for Once"
Joyce Peseroff, "Your Ad Here"
Jill McDonough, "The Beautiful Woman"
Fred Marchant, "A Place at the Table"
Amy Lowell, "From a Window"
Kevin Young, "Ode to Chicken"
Adelia Prado, translated by Ellen Doré Watson, "Seduction"
Marge Piercy, "To Be of Use"
To sponsor Poetry on the T or for more information, please contact Sara Siegel at sara@masspoetry.org. Alternatively, you can fill out our Sponsorship Form and Sara will be in touch to discuss options and details. 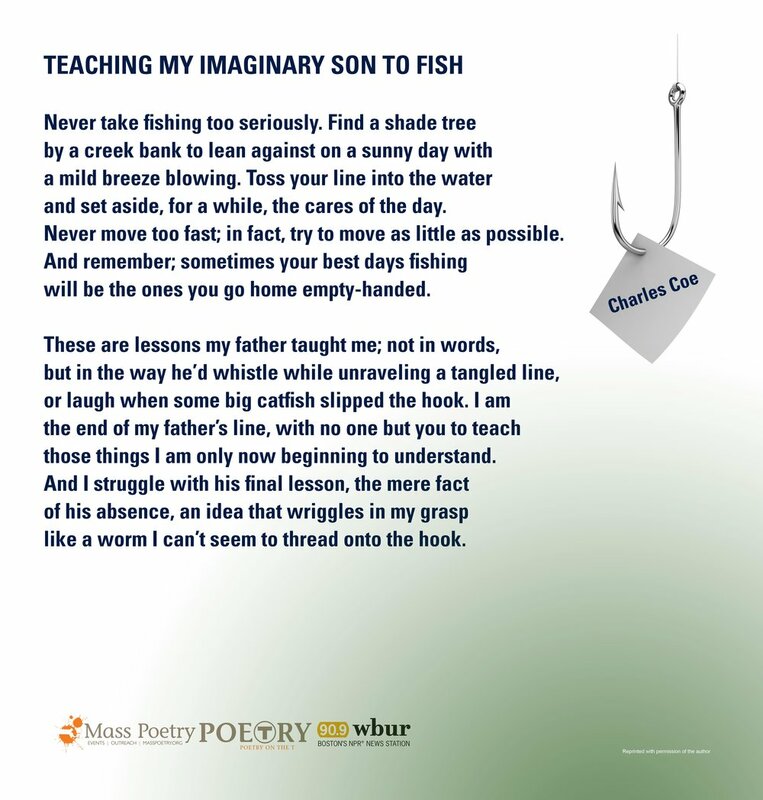 Poetry on the T sponsorship packages start at $3800, a rate which sponsors 30 poem posters (up to three poems/designs) on the MBTA line of the sponsor's choice for four weeks (rates are higher for the Green Line). 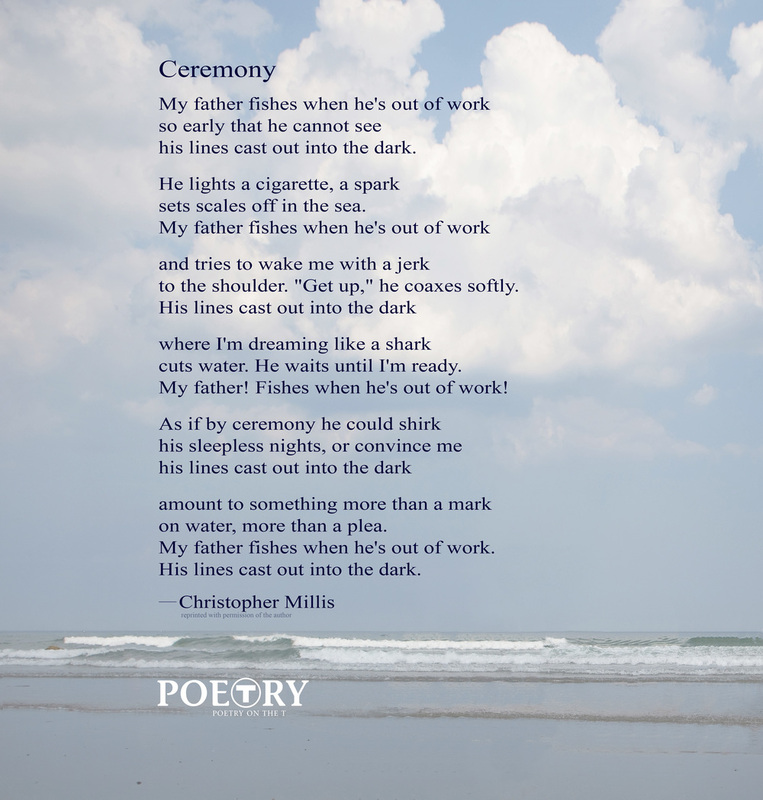 Sponsored posters bear the sponsor's name or logo and feature poems chosen jointly by the sponsor and Mass Poetry. Please email sara@masspoetry.org to learn about alternative sponsorship levels. Sponsorships must be contracted at least six weeks prior to the desired Poetry on the T start date.